Ogunquit Vacation Home Walk To Everything ! Four bedrooms with 2 full baths; includes 1 first floor bedroom with queen bed and full bath plus 3 bedrooms up with full bath; master has king sized bed. Also includes a new outdoor shower which is perfect on a summer day or evening. Offers cozy sunroom with that is the perfect spot to enjoy that book you've been trying to get to plus outdoor deck and patio. Game room has pool table and bar for games and entertainment. High speed internet and cable TV and free Netflix with 42 inch plasma screen as well as 32 inch LED TV in Master bedroom are included with your rental. In house laundry and central air conditioning are included. Private half acre lot at the end of a cul de sac close to everything. Trolley stop is one block away and downtown, Perkins Cove, the beach and the Ogunquit playhouse are within walking distance. I am a Realtor and developer who resides in Massachusetts. I've been spending my weekends in Southern Maine for many years. I built this home in 2000 and lived in it until 2012 when I was fortunate enough to purchase a nearby oceanfront home; now it's time to share this beautiful vacation property with tourists who choose the special town of Ogunquit for their vacations. This property is on the Southern side of town near the Ogunquit Playhouse, because of this you can avoid the summer traffic in the center and get in and out pretty easily. This home is located on a private half acre lot at the end of a cul-de-sac, and offers great privacy but is an easy walk to all that Ogunquit has to offer. Trolley service is just a block away if you choose to ride but you can easily walk to Perkins Cove, downtown and the beach. Our home features 4 bedrooms including one on the first floor with 2 full baths plus a new outdoor shower! This home is great condition and includes everything you need for your stay. Pack your clothes and enjoy your vacation in beautiful Ogunquit! There's always something to do in Ogunquit with year round festivals and entertainment. Annual celebrations include: Spring Patriots Day Summer 4th of July Fireworks Sidewalk Art Sale Fall Capricio Ogunquifest Winter Christmas by the Sea Mardi Gras Ogunquit is truly a special place for your vacation any time of year! Ogunquit Beach is just a mile away! Quaint shops and fine dining are a short walk or trolley ride away. Walk or take the trolley to the beach (1.2 miles) or Perkins Cove (1 mile), walk to Ogunquit Play House less than a quarter mile away. Great location offers walking access to everything in town! Owner use of garage,no vehicle parking available. Fully equipped with range, dishwasher, microwave, and refrigerator. Fully equipped with plates, utensils etc. Our extended family had a great time. The house was well equipped, very clean and nicely set up for the two families sharing the space. Walking distance to town was an added bonus. Walked everywhere, which was great. House was as expected. Note that linens are provided but not beach towels. If you like a dark room for sleeping, you're in luck because there are blackout shades. LOVELY HOME FOR OUR FAMILY REUNION. PERFECT LOCATION AWAY FROM THE BUSY AREA BUT EASY ACCESS TO RESTAURANTS AND BEACHES. ONLY COMPLAINT IS LACK OF DISHES FOR COOKING, SUCH AS 9 X 13 PAN FOR IN OVEN. Thanks for the feedback on the cookware, we will do some re-stocking. The house is large and all four bedrooms have queen or king beds. Kitchen is well equipped because we like to cook. Great location. Can walk to most areas. I would rent this house again. The Ogunquit house had excellent accommodations for all of us! The outdoor shower and pool table were added bonuses. We loved having quality time relaxing on the deck every afternoon. The open floor plan downstairs was perfect for family game time each night. The house was very clean! We highly recommend this house! The house is just what we needed for a quick visit. Plan on returning to visit again. loved the house and the town. Ogunquit (Indian for beautiful place by the sea) is a quaint seaside town just 90 miles from Boston. Ogunquit Beach, which actually consists of 3 beaches, is consistently ranked as one of the Top 10 beaches in the US. A great town for walking you'll enjoy quaint shops, world class restaurants, Broadway caliber shows at the Ogunquit Playhouse and some of the most spectacular scenery in Maine along the 1.5 mile walking trail known as the Marginal Way. You can also visit the center of Kennebunkport and view Walker's Point, the home of former President George Bush which is just 12 miles away or outlet shopping in nearby Kittery either of which is the perfect way to spend an afternoon. Enjoy the perfect day at the beach or walk to whale watch cruises, cocktail cruises, deep sea fishing or sailing. No vacation in Maine would be complete without enjoying a lobster dinner! Bring some home and cook or choose from many local restaurants serving this world renowned delicacy. 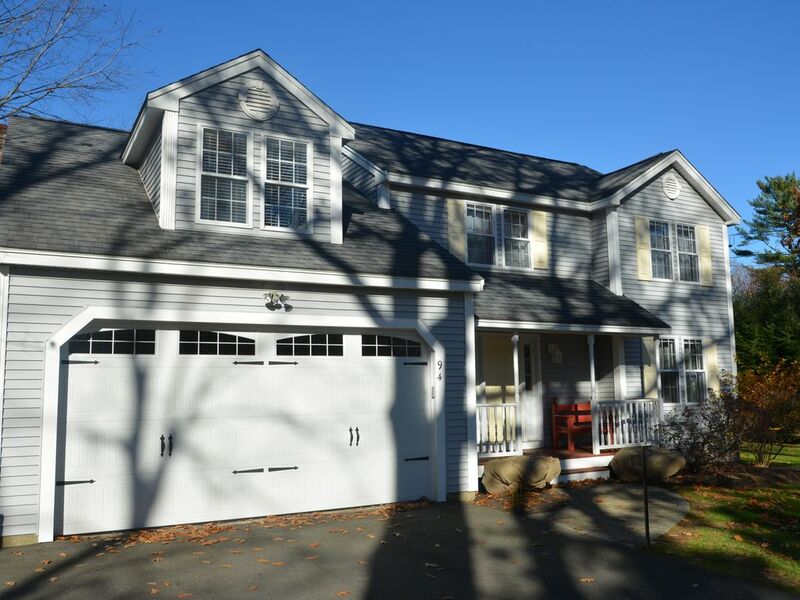 Ogunquit is the perfect place for your vacation and this beautiful home is the perfect place to enjoy your vacation!